My husband and I don’t like a lot of the same shows. There is only a couple that we watch together and one of those is Stranger Things. There is something fun and addicting about this 80s throwback with a touch of horror. We can’t get enough. In fact, my husband took the day season 2 came out off, so we could binge watch the entire season in one sitting. 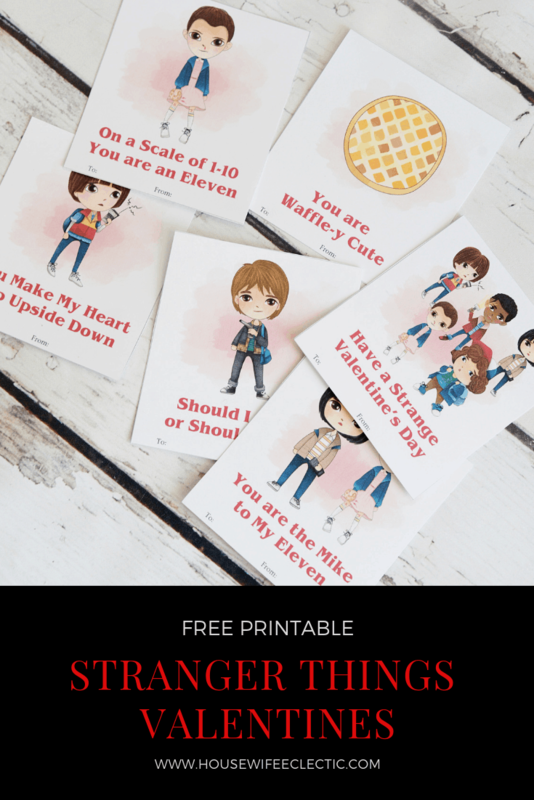 It seemed fitting that we make valentines for our favorite show. 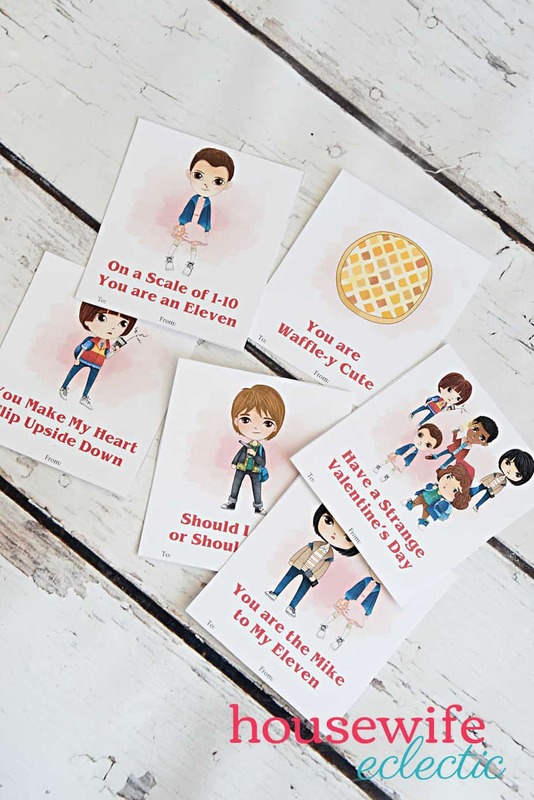 These valentines are fun with a hint of Eggos. Print them for free below! 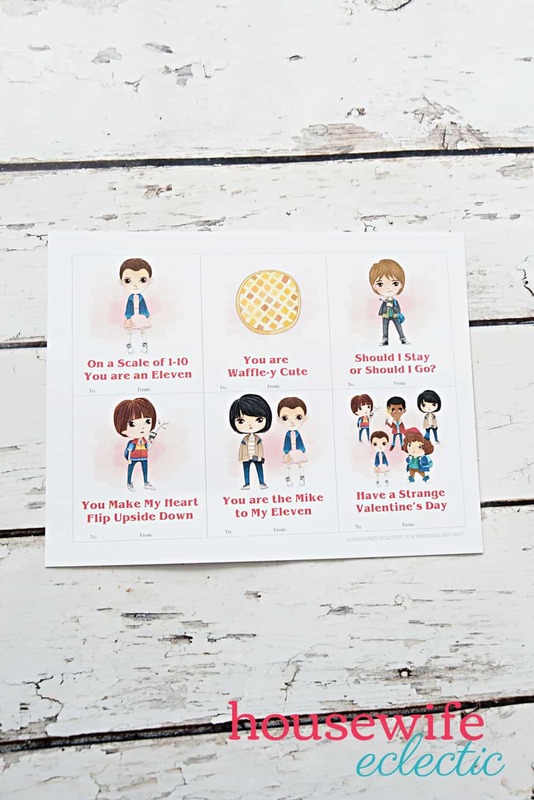 First print out the valentines, preferably on cardstock, and then have your child fill out the to and from on each of the cards. Cut out each of the cards and tape them to a small box of candy or other treat! We have made a lot of Harry Potter Valentines over the years, find them all below! 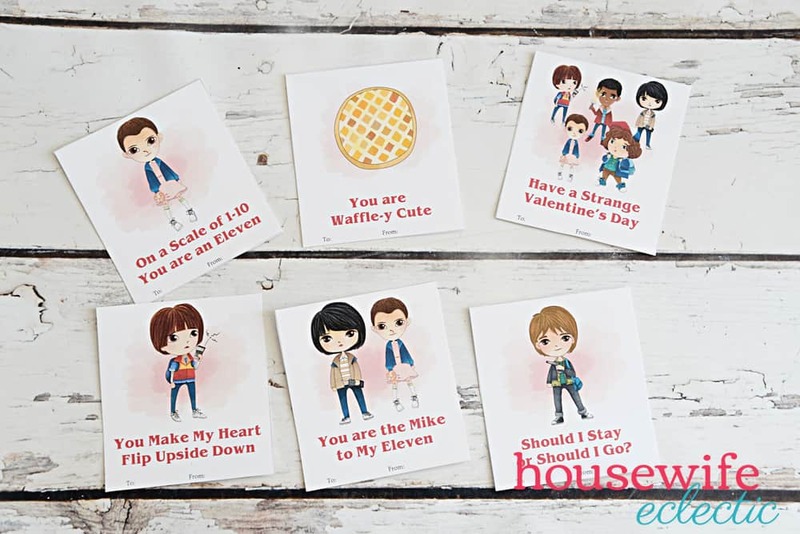 Printables in this post are for personal use and available to subscribers of Housewife Eclectic only. To use this printable, please SUBSCRIBE NOW. Once you have subscribed, click the links below to download the printables.